My podcast guest this week, Mark Shepard, talks about forest restoration. What is a forest? What is the ecosystem naturally present in a given ecoregion and how can we support that by planting trees? He also recommends fruit-bearing trees for several reasons: find the ones native to your ecosystem region. They produce fruit/nuts, fruits and nuts contribute food source for us and critters, increase diversity in our landscapes and contribute to the overall ecosystem. Curious? I was too. We would like to increase fruit trees in our backyard, but here in NE, they can be a lot of work with poor returns. 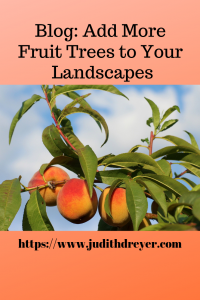 As I researched the topic, I came across this video that shows us how to add fruit trees to our yards. However, I had no idea we can keep them short, manageable and add variety. Pretty cool, right? With the right soil conditions, proper fertilizing we can take a relatively small space and put ten fruit trees in the space needed for one fully mature non-dwarf variety. 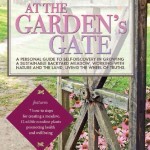 The secret is picking fruit trees from the same family. For example, choose the pome fruits, such as varieties of apple and pears or choose stone fruits, prunus, such as peaches, plums. He suggests great results by not mixing the 2 groups in one plot. Spring is here. The video and Mark’s discussion give us “food ” for thought (pun intended). We can see our yards with fresh eyes after winter’s barrenness and with itchy feet and fingers think about using our space differently. At the very least adding more plants increases diversity. What new plans do you have for your yards? What inspires you to add more diversity? All comments are appreciated. This is great information. I had no clue this was possible. I may have to give this a try in the future. Thanks again for your comments. Glad you are enjoying the content. I agree. It was new information for me too. but then again, I am not a fruit tree grower. Thank you for your comments. They are appreciated.